Like most of the world, I was delighted to read the news this morning that the Duke and Duchess of Cambridge are expecting their second baby. The flip side of the coin is that my heart goes out to Kate who is once again experiencing Hyperemesis Gravidarum. Due to Kate experiencing this illness in her last pregnancy, there appears to be a little more knowledge and understanding of the condition than there used to be. However, social media and online comments still show that there are many who do not understand it and how it differs from the commonly known about ‘morning sickness’. Morning sickness itself I think is often referred to in a rather trite way. The reality is that it covers a spectrum of experience from mild nausea symptoms to regular vomiting throughout the day. For some women this regular morning sickness can be fairly debilitating, while for others it is just a minor nuisance. It simply isn’t possible to think ‘well it was like that for me, so it’s like that for everyone’ – it affects everyone differently. Hyperemesis is a very extreme form of sickness and is estimated to only effect 1% of pregnant women. It can involve vomiting 10, 20, 30 times a day. The nausea symptoms can be so severe that it feels like you have food poisoning, day after day after day. Keeping down food or fluid can be near to impossible. The body can become easily dehydrated. Vomiting can be so persistent that actually all you throw up is bile. Your throat and stomach are sore from the repeated straining. Fatigue can be immense. The body can start burning its own fat stores for energy which means many women are losing weight in early pregnancy rather than putting it on, and the side effects are that the body produces ketones which in large amounts are dangerous for mum and baby. Emotionally, the early joy of finding out you are pregnant can be largely eroded by the continued struggle to just get through each day. Sickness can last for weeks, months or even throughout the entire pregnancy. Hyperemesis is very serious. There are many women around the world who struggle on with this kind of illness, often largely in isolation because of our culture of keeping pregnancy a secret for the first 12 weeks. Many women think they just aren’t handling morning sickness well, that it must be like this for everyone. I know this because I speak to them through our work, and because nearly 6 years ago I was one of those women. In my second pregnancy, I suffered from hyperemesis. I had a 5 month old baby at the time and with a husband away at work for 12 hours a day, no support around the house. I vomited morning, afternoon and evening. I couldn’t take a car journey without sick bags, I couldnt give my baby his breakfast without needing to vomit, I couldn’t even keep down a glass of water. Taking my son upstairs for his nap was a challenge in itself, climbing the stairs carrying him was exhausting and I would often just get him into this cot before collapsing next to his bed. In the end I took a trip to the GP, and told her all of this, but it wasn’t a positive experience. She did no tests, just told me to trying sucking on ice cubes for fluids, saying she would call me to see if it was helping. When she finally called, I told her that the ice cubes were making me vomit and had not kept anything down since I saw her. ‘I think you need to come back in this afternoon’ she said. I sat on the phone in tears at the thought of making the journey, the energy it took to get myself and my baby out of the house, into the car and to the doctors was just indescribable. Add to that the stress I had of being in a public place knowing I could throw up at any point. I somehow got back to the doctors, a different doctor saw me, and he actually looked at a urine sample and my heart rate. Within seconds of both he called A&E to arrange for me to go in to hospital to be treated. I had huge amounts of ketones in my sample, and as he said ‘your heart rate is going as the same speed I would expect mine to be if I was working out hard on a treadmill’ – it was apparent that my body wasn’t coping. In that moment, I felt a sense of relief, that it wasn’t in my mind, it wasn’t me not managing, something was wrong. I cannot pretend it was the end of the ordeal, being hospitalised for several nights away from my baby was hard. In hospital my veins were so poor from dehydration that they struggled to get an IV in, and each time took 4 or 5 attempts. I ended up with black and blue forearms through the bruising. I was suffering with depression as it felt like the health professionals didn’t understand why and how I was struggling. I went for my 12 week scan and was criticised by the sonographer for not having drunk enough fluids (although there was actually no difficulty in her seeing what needed to be seen), a complete lack of understanding or compassion at how well I had done to drink anything and keep it down. After trial and error, finally anti-sickness meds were found which helped me, and I was able to start eating again. I needed to take these for the rest of my pregnancy, as every time I came off them the nausea returned. When I moved house part way through the pregnancy, and changed GP as a result, my repeat prescription for my medication was refused and I basically had to go and beg to have them back, under threat of ‘we don’t know what these will do to your baby’. I couldn’t go back to how it had been, and so was left spending the rest of the pregnancy feeling judged to be doing something wrong, and wondering if I was damaging my baby. This was just my experience of hyperemesis, and again it will differ from person to person, but one thing which is always consistent is how debilitating it is, and how difficult both physically and emotionally it is to cope with. I have experienced early pregnancy again since then, two years ago and I am currently in early pregnancy with my fourth baby. Thankfully, I have not experienced Hyperemesis again for which I am immensely grateful but I will never forget how overwhelming the experience is. If during your pregnancy you are struggling with sickness, support is crucial. If like me you see a GP who does not appear to take it seriously, see someone else. Get friends and family around you who can help. It is essential to rest as much as possible when dealing with hyperemesis, so all the support possible with housework or other childcare is so important. Avoid anything which you identify strongly causes waves of nausea – ideally avoid all cooking and food preparation as this is often a culprit. Talk to other people about how you are feeling. It can be a difficult time and having people to talk to about your feelings is important. Be prepared. If you need to go and about have a sickness kit with you – paper sickness bags or even disposable nappy bags (unscented, as scented ones may aggravate the nausea as you are using them). We wish Kate all the best, and hope that her support and treatment help her through this difficult part of the pregnancy. If you have experienced Hyperemesis, please share your experiences and tips for coping with us below. 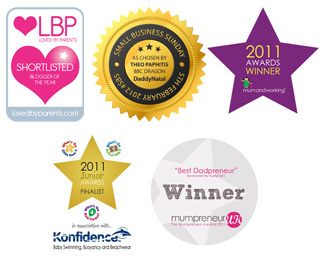 Steph is co-founder of antenatal & parenting programmes MummyNatal, BabyNatal and DaddyNatal, alongside her husband Dean. This entry was posted in Uncategorized and tagged BabyNatal, DaddyNatal, Duchess of Cambridge, Hyperemesis, Hyperemesis Gravidarum, Kate Middleton, morning sickness, mummynatal, pregnancy, pregnancy experience, pregnancy sickness, pregnant, Royal Baby, steph beaumont, The Natal Family, what is hyperemesis by Steph. Bookmark the permalink.